Minghan Wang is the Scientific Director and member of the Senior Leadership Team for Metabolic Disorders Research at Amgen. He has authored 30 peer-reviewed publications and holds 2 patents. Part I. The physiology of metabolic tissues under normal and disease states. Chapter 1: Gut as an endocrine organ: the role of nutrient-sensing in energy metabolism (Minghan Wang). Chapter 2: Central glucose sensing and control of food intake and energy homeostasis (Lourdes Mounien and Bernard Thorens). Chapter 3: Abnormalities in insulin secretion in type 2 diabetes mellitus (Taly Meas and Pierre-Jean Guillausseau). Chapter 4: Adipokine production by adipose tissue: A novel target for treating metabolic syndrome and its sequelae (Vanessa DeClercq, Danielle Stringer, Ryan Hunt, Carla G. Taylor, and Peter Zahradka). Chapter 5: Hepatic metabolic dysfunctions in type 2 diabetes: Insulin resistance and impaired glucose production and lipid synthesis (Ruojing Yang). Chapter 6: Energy metabolism in skeletal muscle and its link to insulin resistance (Minghan Wang). Part II. Metabolic diseases and current therapies. 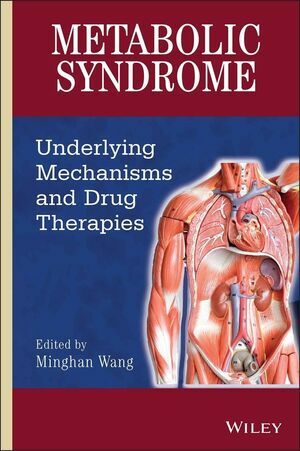 Chapter 7: Mechanisms and complications of metabolic syndrome (Minghan Wang). Chapter 8: Emerging therapeutic approaches for dyslipidemia associated with high LDL and low HDL (Margrit Schwarz and Jae B. Kim). Chapter 9: Mechanism of action of niacin: implications for atherosclerosis and drug discovery (Devan Marar, Shobha H. Ganji, Vaijinath S. Kamanna, and Moti L. Kashyap). Chapter 10: Current anti-diabetic therapies and mechanisms (Minghan Wang). Part III. Drug targets for anti-diabetic therapies. Chapter 11: GLP-1 biology, signaling mechanisms, physiology, and clinical studies (Remy Burcelin, Cendrine Cabou1, Christophe Magnan, and Pierre Gourdy). Chapter 12: Dipeptidyl peptidase IV inhibitors for treatment of diabetes (McIntosh, CHS, Kim, S-J., Pederson, RA, Heiser, U, and Demuth, H-U). Chapter 13: Sodium glucose co-transporter 2 inhibitors (Margaret Ryan and Serge A. Jabbour). Chapter 14: Fibroblast growth factor 21 as a novel metabolic regulator (Radmila Micanovic, James D. Dunbar, and Alexei Kharitonenkov). Chapter 15: Sirtuins as potential drug targets for metabolic diseases (Qiang Tong). Chapter 16: 11?-hydroxysteroid dehydrogenase type 1 as a therapeutic target for type 2 diabetes (Clarence Hale and David J. St. Jean, Jr.). Chapter 17: Monoclonal antibodies for the treatment of type 2 diabetes: A case study with glucagon receptor blockade (Hai Yan, Wei Gu, and Murielle Veniant-Ellison). Part IV. Lessons learned and future outlook. Chapter 18: Drug development for metabolic diseases: past, present and future (Minghan Wang).